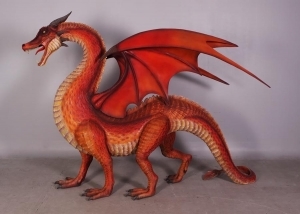 This large red/orange dragon which would turn anyone's head. 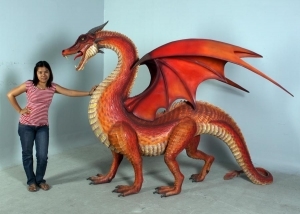 This dragon would look good along side the 4 metre green dragon (JR DY022). 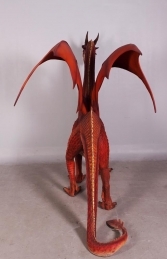 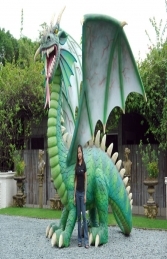 This resin and fibre-glass Dragon is sure to be a hit with all fantasy fans and is ideal for mythological, fantasy, Arthurian themes. This would draw attention to your business. The detail on this model is really impressive and the wings are removable for transit and storage.